„Diversity is everywhere and challenges us. 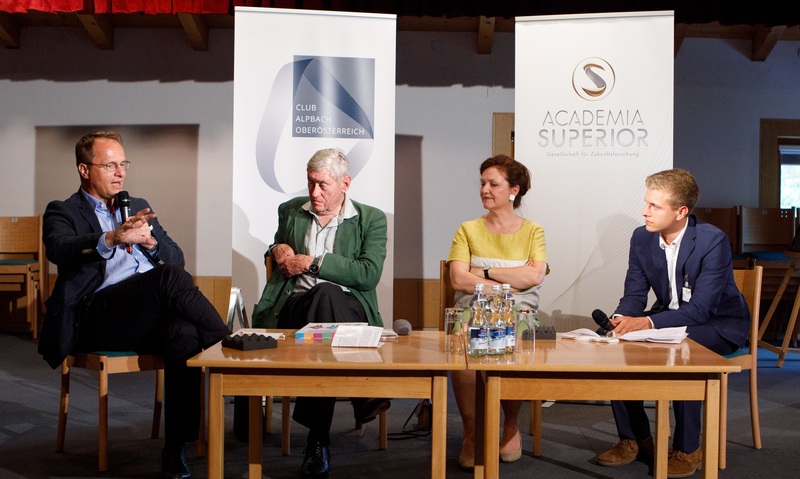 We need to use the resources from various fields and built strength,” said ACADEMIA SUPERIOR President und Deputy Governor Michael Strugl at this year’s fireside chat in the Tyrolian mountain village Alpbach. 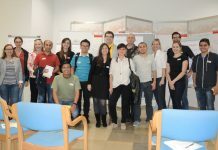 The expert discussion took place for the sixth time in cooperation with the student network Club Alpbach Upper Austria. The education researcher and cultural and social anthropologist Barbara Herzog-Punzenberger, industrialist and Chairman of the Council for Research and Technology Develpment Hanns Androsch and human geneticist and Academic Director of ACADEMIA SUPERIOR Markus Hengstschläger discussed the following socially relevant questions with the students: How much diversity can the Austrian educational landscape endure? What ist the role of the education system and what does it have to do to be able to generate fair opportunities for all? 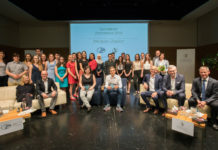 Diversity is also a central characteristic of Club Alpbach OÖ. “In its activities, the club is committed to promoting and using diversity within society – in terms of both the choice of scholarship holders and our thematic priorities,” emphasizes Katharina Fernandez-Metzbauer, President of the Club Alpbach OÖ in her welcome address. In some countries, diversity is the basis for both society and the education system, says LH-Stv. Michael Strugl: “Austria also has to go in this direction”. Entrepreneur Hannes Androsch sees the diversity of society as an essential pillar of creativity and warns against the clearly noticeable tendencies of isolationism. “For me, diversity is a so-called evolutionary creative need, which is becoming increasingly important,” says Androsch. Educational researcher Herzog-Punzenberger adds: “Many of our cultural assets, such as Christianity, mathematics or the potato, can be traced back to a lively migration culture”. Biodiversity – our most important resource? In the 21st century, the societies of Europe are marked by the trend towards more diversity: cultural, linguistic, social and economic differences in the population are now being re-emphasized. Human geneticist Markus Hengstschläger is convinced: “Every human being is different. This diversity must be seen and used as a strength. The education system must also use diversity as an opportunity”. Hengstschläger pleads for promoting the individuality of every person at school. Androsch adds: “Instead of having progressed, we fell behind. 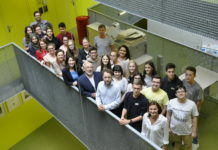 We have some catching up to do in the area of ​​education.” The entrepreneur, who initiated the “Volksbegehren Bildungsinitiative” in 2011, sees the basic step in the introduction of the all-day school. The results of the PISA tests show that migration is not causally a problem, according to Herzog-Punzenberger. “The decisive factor for differences in the performance of students is the educational profile of their parents,” confirms their much-noticed study “Migration and Multilingualism” on migration and education, refuting the misconception that migration or multilingualism are the causes of problems in the school with children. In order to deal positively with diversity and diversity in the education system, Herzog-Punzenberger advocates teacher training in dealing with multilingualism for language-sensitive subject teaching as well as for the active involvement of parents in the diversity process. A lively discussion between the experts and the students raised questions of practical implementation. That education does not only take place in school is a less common view in Austria compared to Germany or the USA, for example. The introduction of compulsory education instead of compulsory education could potentially increase equity.